In a period that Roman historians term as Magna Graecia, expansionist Greeks crossed the westward seas to establish a ring of thriving colonies around the perimeter of this distinctive land spit; in the modern age, it became whimsically known as either stiletto or heel of the boot. Jutting downwards from mainland Italy, the southern peninsula of Puglia acts as a geographic divide between the sheltered Gulf of Taranto and the Otranto Strait of the Adriatic Sea. Throughout thousands of years in antiquity through to the middle ages, this was a strategic crossroad of trade and target of conquest for many Mediterranean civilizations. As a cumulative result, 800km of coast and the parallel line of inland mountains serve to frame a hybrid culture that’s unique within the broad diversity of regional Italian identities. Though early colonizers seem to have been warlike Spartans, by the 5th century BCE it was philosophy that had become the preoccupation in Greco-Italian centres of learning such as the city of Elea (now Velia). Notably, this was home to visionary thinker and mentor Parmenides who’s credited with laying an influential foundation for Aristotle, Plato and young Socrates. Unsurprisingly, the wealth of clay Amphorae unearthed from archaeological excavation also reveals that the making of wines and their sea-borne export were well underway! Curiously, in spite of being so prolific, Puglia remains one of the less-well-known Italian regions. In its middle and southern provinces, the hot and dry climate is perfect for cultivating fulsome grapes such as Negroamaro, Malvasia Nera and Primitivo. With a name derived from several Latin terms loosely translating as ‘the first to ripen’, Primitivo has traditionally been a reliable blending component. More recently, the variety has gained increased profile as a stand-alone varietal wine, due in part to the burgeoning popularity of Zinfandel; a clonal relative that flourishes in Californian vineyards and North American marketplaces. Local lore suggests that this Italian variant of a Croatian parent grape was discovered by a 17th-century Benedictine monk, Francesco Primicerius, as a wild vine growing in his monastery gardens. Gradually, cultivars of Primitivo were then proliferated throughout Puglia, finally rooting in Taranto Province 100 years later. Home to this week’s DéClassé featured bottle from the Montanaro winemaking family, the town of Crispiano and surrounding vineyards are proudly becoming an agrotourism destination in their own right. So much so that these vintners engaged a landscape architect, Fernando Caruncho, to oversee development of the property as a garden-vineyard where the undulating waves of vines are interspersed with 24 islands of 800-year-old olive trees. 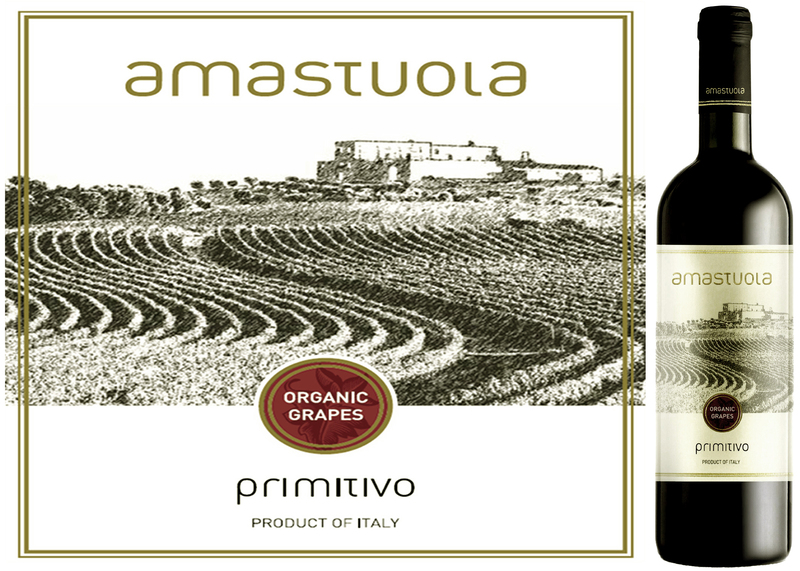 Compelling aesthetics aside, their Amastuola Organic Primitivo 2014 is a semi-plush, pleasingly rounded example of how expert that Taranto’s vintners have become in fashioning their local wine. Budget allowing, half a case would be hard to hold in your cellar for very long! A very fruity palate typical of the grape style with aromas of mixed berries, plum, spice and vanilla. Try with some classic, cool-weather comfort foods like braised beef brisket, veal scaloppini, pasta Bolognese, eggplant Parmigiano or alongside a zesty, mixed pepper lasagna and an arugula/radicchio salad topped with slivered Pecorino Romano. As it winds its way for over 900km down through the western side of the Iberian Peninsula, the majestic Douro River acts both as a border with its Spanish neighbours, while also providing the region on the Portuguese side with its iconic namesake. The earliest traces of grapevine cultivation date back as far as the late Bronze Age, with a significant proliferation happening during the Roman-influenced period in the 1st century AD. Visigoths displaced the Romans and took to the practice until the arrival of the Moors, who in turn, yielded to the forbearers of the modern-day Portuguese and their founding of the first Kingdom of Portugal in 1143. 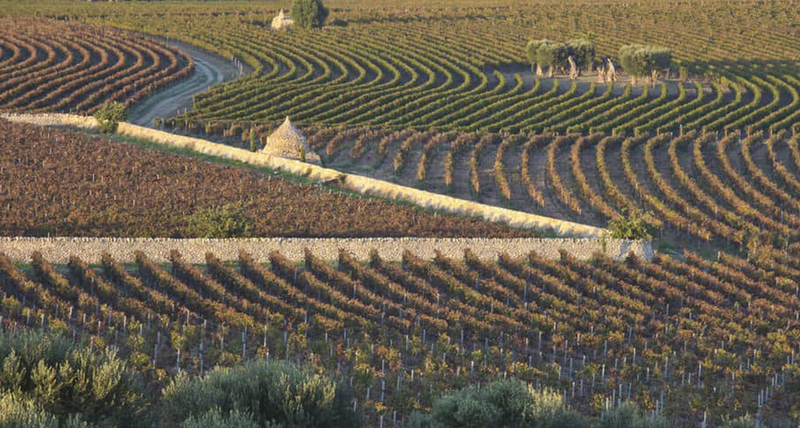 The most noteworthy wine-producing zone lies framed between the towns of Barca d’Alva and Régua. Here the river valleys point westward for a time; creating growing conditions that are conducive to red wine grape varieties such as Touriga Nacional, Tinta Roriz, Touriga Franca, and Tinta Barroca, as well as, for white wine grape stock such as Malvasia Fina, Moscatel, Gouveio, and Viosinho. 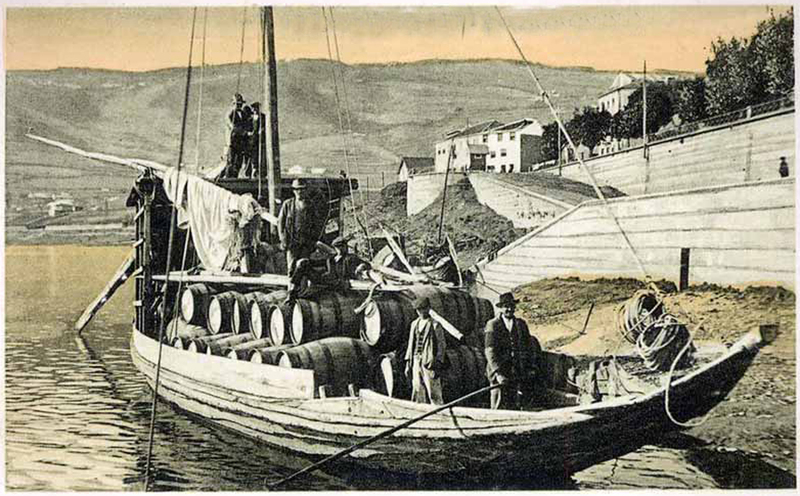 The net result of all this prolific production is that wine has been flowing along the Douro for a very long time – shipped downstream to Porto in barrels that were loaded onto the regionally distinctive, Rabelo boats. Many of the Douro’s red wines are vinified in so-called Lagares. These are large, open stone containers made of Granite and Schist that the sorted and destemmed grapes are poured into, then methodically crushed underfoot in a centuries-old, winemaking tradition. Natural fermentation begins when the wild yeasts that coat the grape skin come into contact with the sugar in the juice. Surprisingly, it frequently only requires 24hrs. to complete this step, after which the young wine is strained into stainless steel holding tanks to undergo a second, bacteria-induced ‘malolactic’ fermentation. This desirable form of intervention helps to convert the tart Malic acid in the fruit into Lactic acid, which markedly softens the mouthfeel of the wine. Portuguese vintners are fiercely proud of their long-standing winemaking methods but are also embracing modern, international standards. Arguably, their output remains underpriced relative to the quality of what’s now on offer, which means that it’s still a great time to stock up before everyone else catches on to the remarkable value. 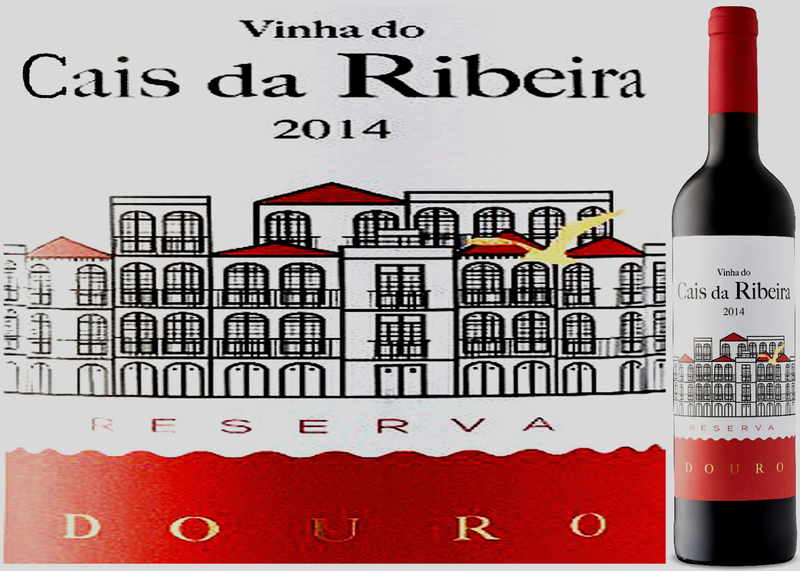 In the case of this week’s feature of Cais da Ribeira Riserva 2014, the home of the Barão de Vilar winery is in an emerging region known as Douro Superiore: the most inland of the Douro’s three zones. Predominantly built on a blend of the classic grape varieties listed above, this bottling benefits from being decanted for several hours before serving or put some away for a year or two and be rewarded with an even suppler version of the vintage. At $13.95 this is a well-made, introductory level offering that should dispel most disbelief about whether dry, Douro DOC, red table wines can compete with those of their nominally related, Tempranillo and Monastrell-making, Spanish neighbours! Following on the dark, brooding fruit aromas, this mid-weight red wine has a surprising combination of a supple body accented with lively streaks of acidity and tannins. Pick a juicy red or black berry that comes to mind, and you’ll likely be able to tag it in the flavours of this bottling. Best alongside heartier and meaty food fare – try serving this with savoury stews, a herbed beef or lamb rib roast, and duck breast glazed with stewed prunes or apricots.